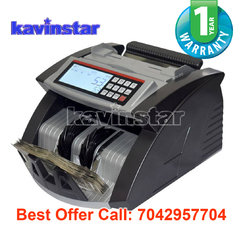 Call: 7042957704, 9821937366 Note Counting Machine Dealers In Noida, note counting machine with fake note detector in noida, Widely fulfilling requirements of the banks all across the country, this BankNote Sorting Machine is able to authenticate bank notes from the cash receipt from clients. Our dexterous professionals manufacture this machine with the use of optimum quality components and the pioneering technology at par with the set industry standards. Tested on various aspects, this BankNote Sorting Machine is available in different specifications at reasonable rates.